Leading Manufacturer of psyllium husk and psyllium husk powder from Unjha. The husk is composed mostly of a fiber called hemicellulose which is a complex carbohydrate found in whole grains, fruits and vegetables. Hemicellulose is indigestible, however, it is partially broken down in the colon and feeds the friendly intestinal flora. 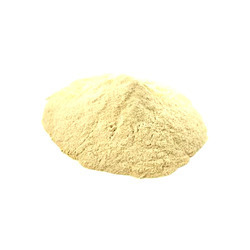 We Provide Psyllium Husk in a Purity of 85%, 95%, 98% and 99%, Purity also available in Powder form like 40 mesh, 60 mesh, 80 mesh and 100 mesh. Packaging Details: As per client specifications. We offer a wide range of Psyllium Husk Powder. Main use in pharmaceutical formulations, breakfast cereal, as a basic stabilizer in ice cream and frozen desserts, as the sizing agent in chocolates, in bakery product like the rice cake, jams etc..
Industrial applications of psyllium husk powder include its use as a sizing material in textile and in the formulation of tablets. Psyllium also used in pharmaceutical industries as fixative. Looking for Psyllium Husk Powder ?